EZ Storage Holiday Promotion Supports BSM! Last night at BSM, Rev. Carla Jones Brown led us in meditating on Mark 10:46-51 where Jesus heals the blind man Bartimaeus; revealing how God is a healer! Listen to the sermon here. The faith community offered these prayers to God: Please pray that my family stays..
Last night at BSM, Rachel Johnson led us in meditating on Genesis 16:1-14. God finds us when we are told or believe that we are the least loveable or loved, but God sees us (differently than the world does, and differently than we see ourselves), cares..
Last night at BSM, Rev. Laura Colee led us in a meditation on Revelation 21:1-6a where God is identified as the Alpha and Omega--with us along the messy journey, making all things new, and transforming our lives in the process! The faith community offered these..
Last night at BSM, Rev. Laura Colee led us in meditating on John 6:28-35 where Jesus named himself "the Bread of Life"--the One who nourishes us. 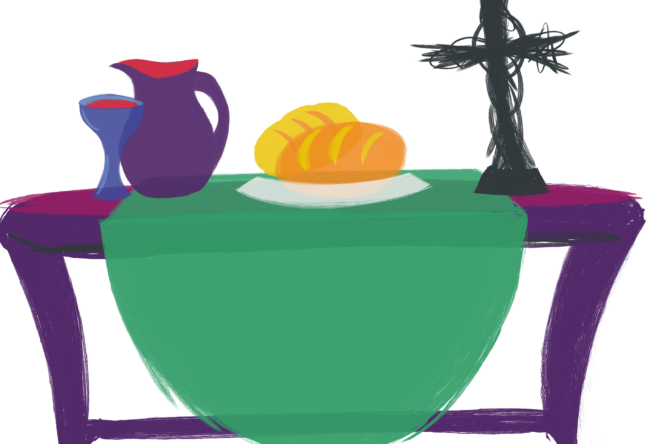 We receive holy food and drink so we may keep on keeping on; sharing that nourishment with all whom..
Last night at BSM, Rev. Emily McGinley led us in meditating on Acts 15:1-21 where a map guided the early church, and guides us today! Scripture, tradition, reason, and experience – in conversation with one another – help us to lead more faithful lives. These..
Last night at BSM, Allen Rascoe led us in meditating on Matthew 1:18-24 where Christmas came early! Yet, it is never too early for Emmanuel. God is with us through all the ups and downs of life; changing us from squishy caterpillars to beautiful butterflies!.. Last night at BSM, Rev. Laura Colee led us in meditating on Exodus 3:1-15 where God appears to Moses in a burning bush, and reveals God's own name. We are called to be known--to risk vulnerability and connection--for we serve a God who dares to be.. Thank You to Our Table Setters: Keystone First! There are many different ways to get involved at BSM. 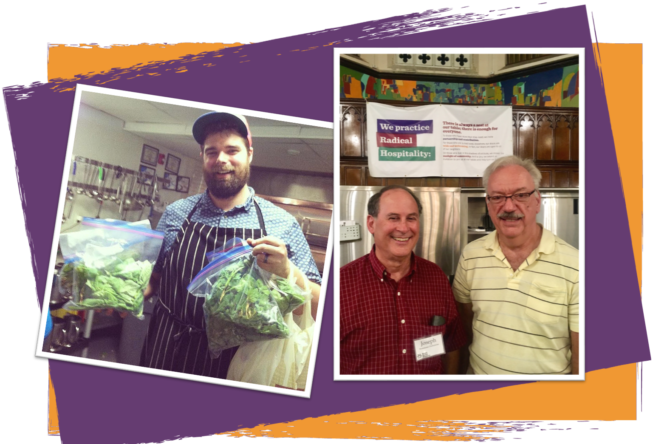 One way that some of our neighbors go above and beyond the call is by sponsoring a meal! This September we were delighted to have Keystone First sponsor a meal and join us for a day.. 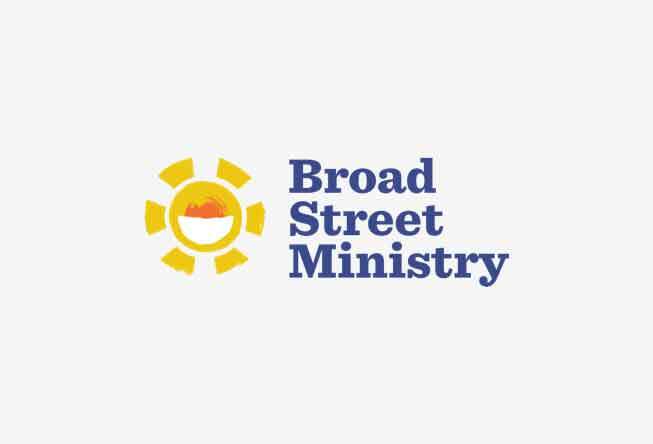 This month we’re highlighting a group that has been giving to Broad Street Ministry since the beginning! 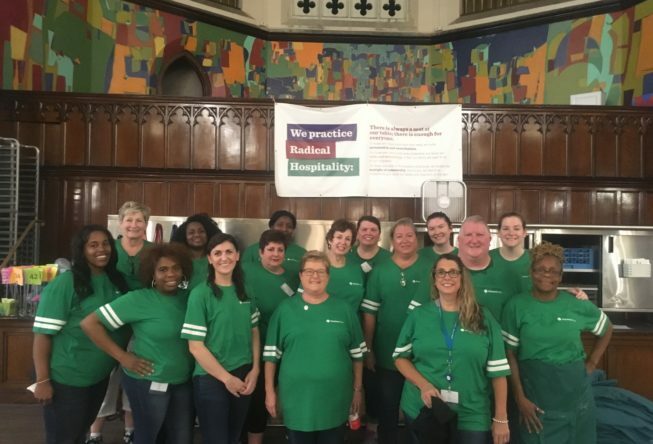 Westminster Presbyterian Church, in West Chester, has spent their time, energy and funds on making sure that our guests are presented with fabulous hospitality when they walk into..